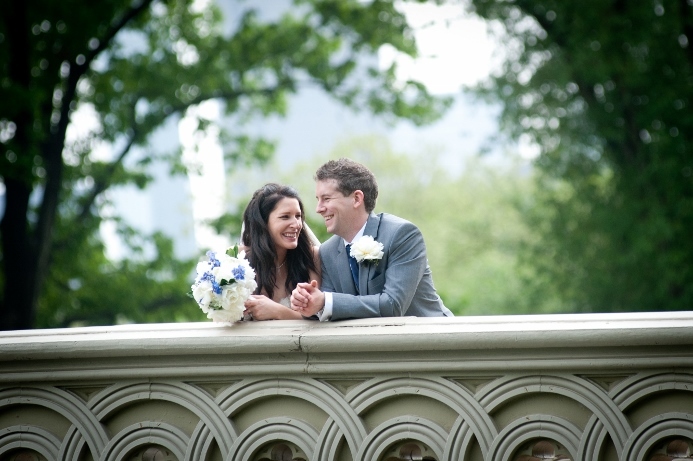 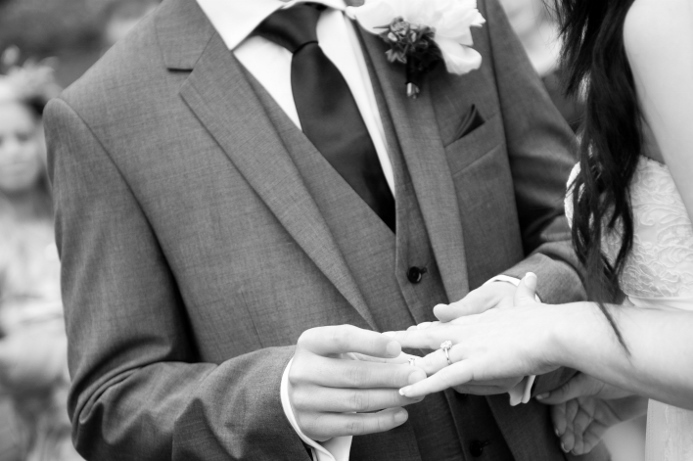 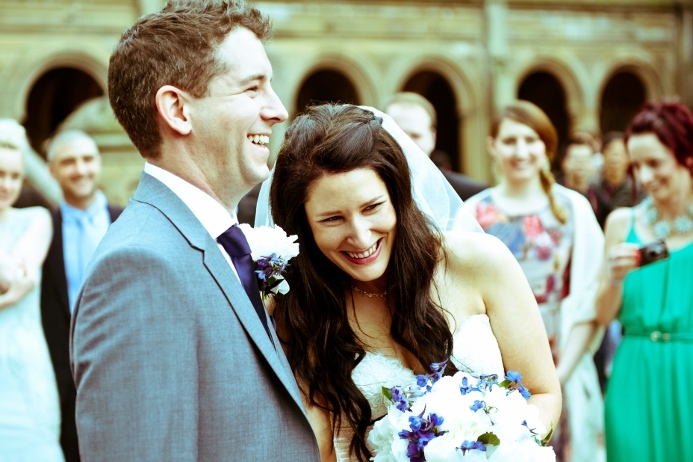 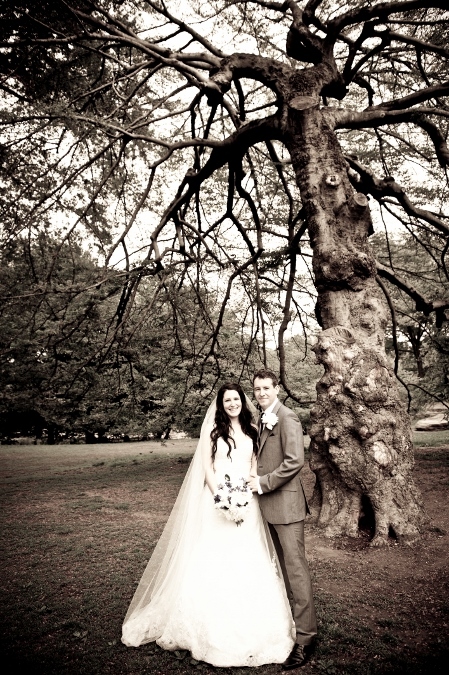 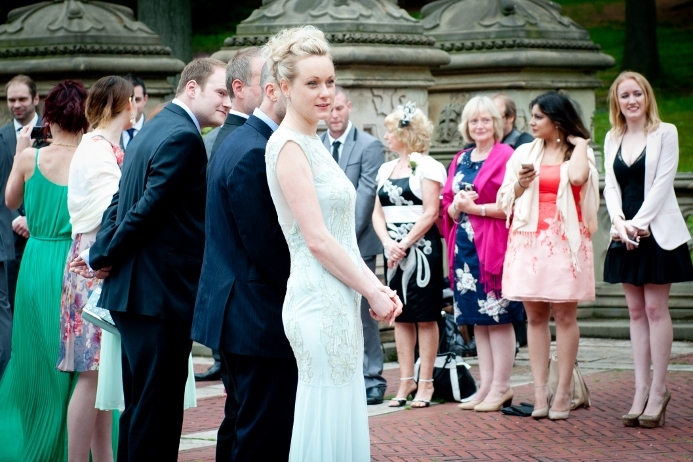 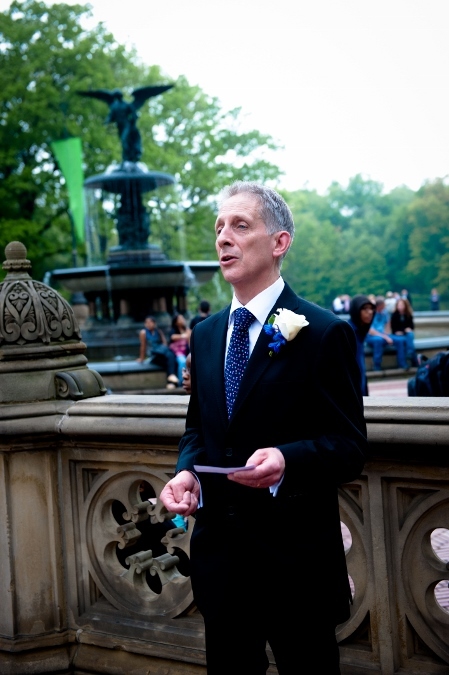 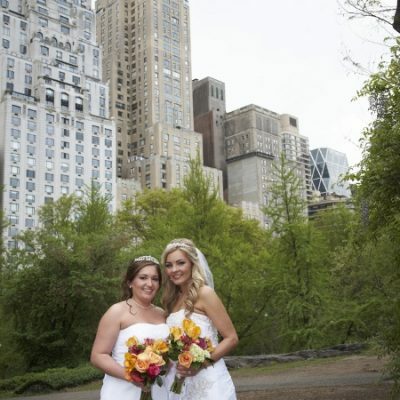 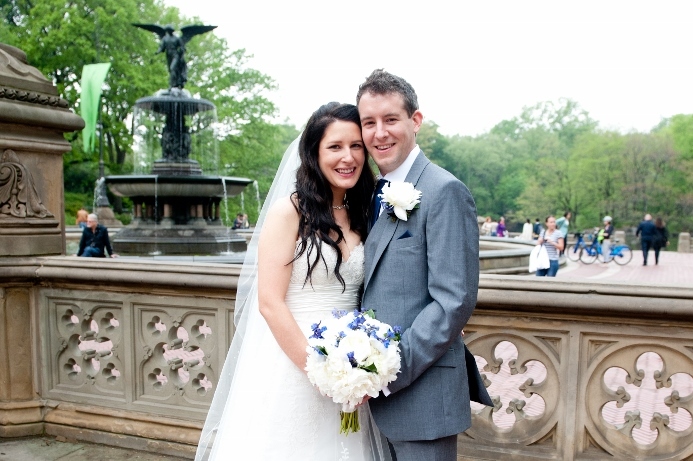 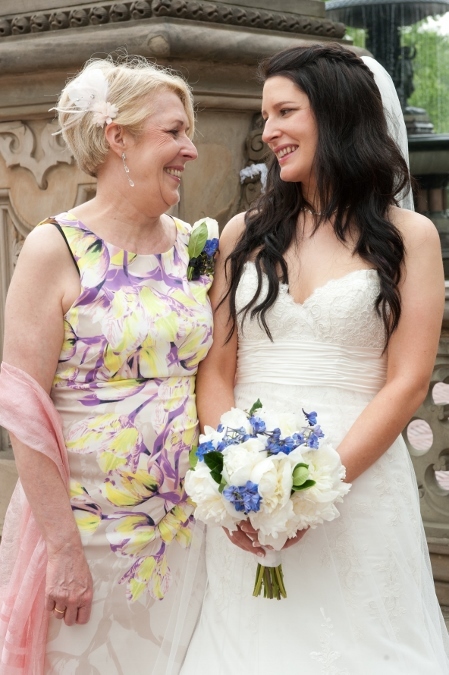 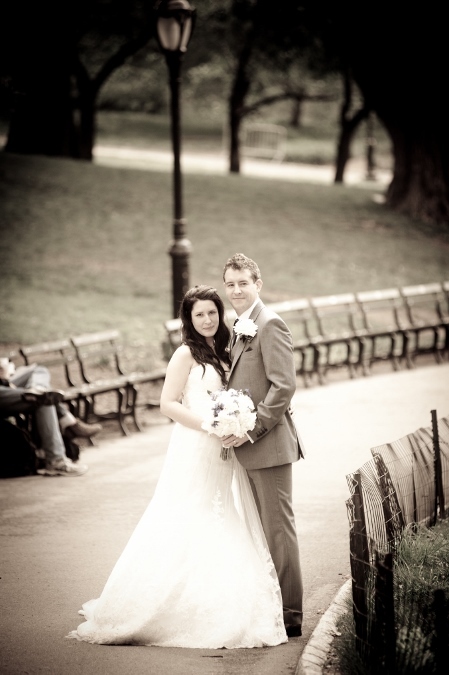 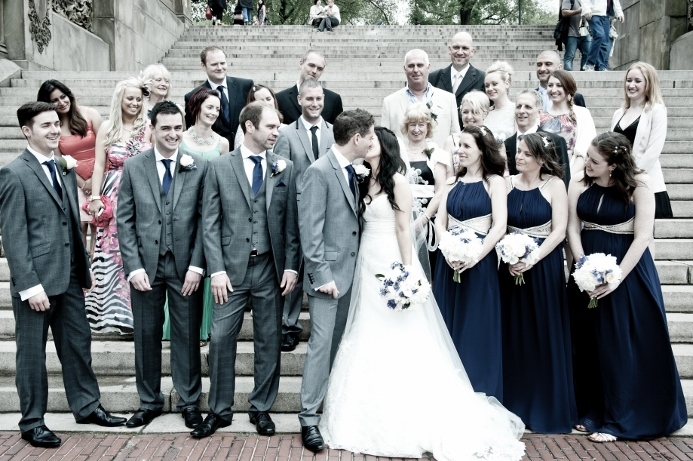 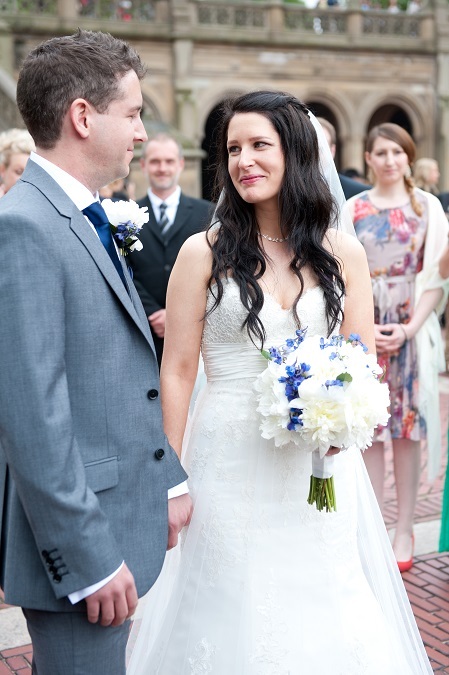 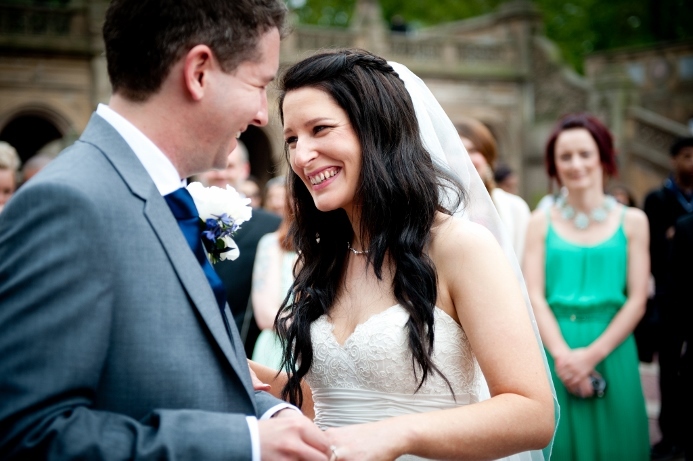 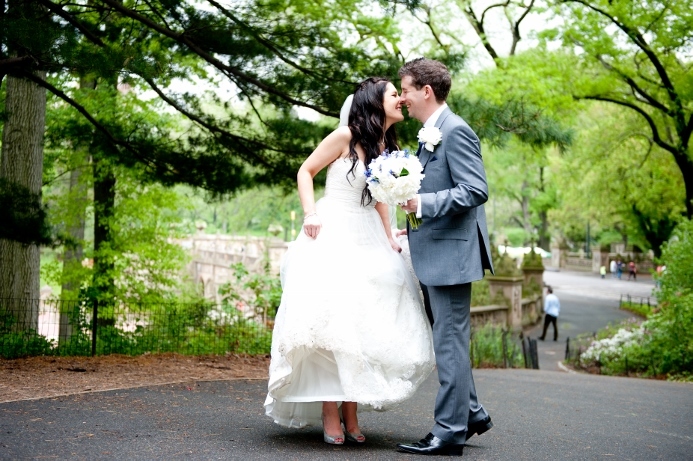 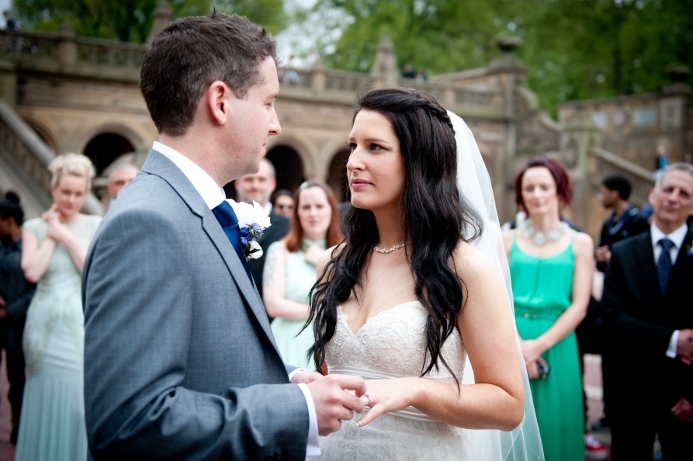 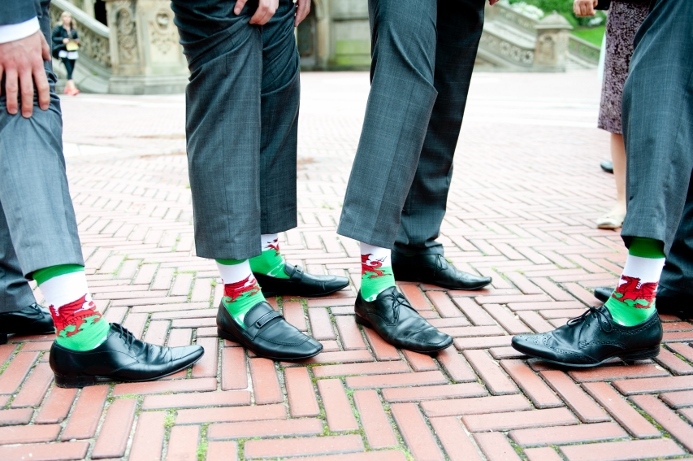 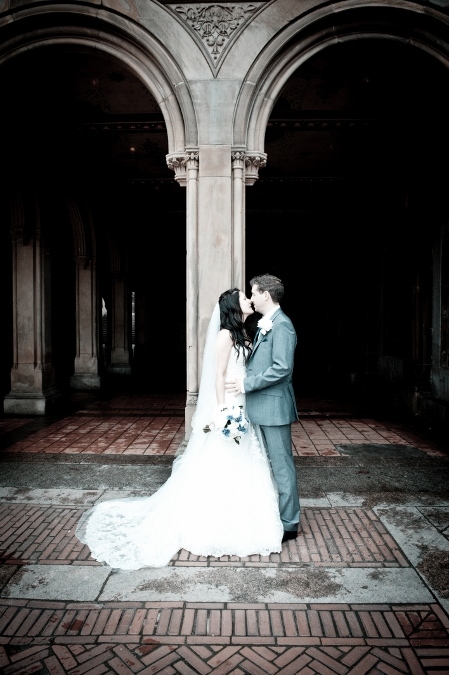 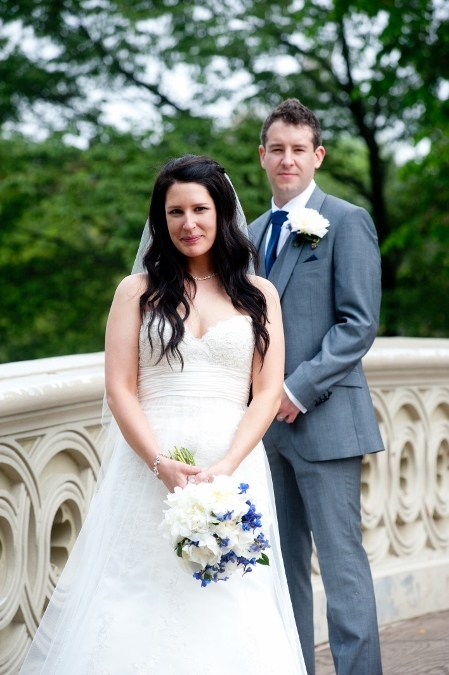 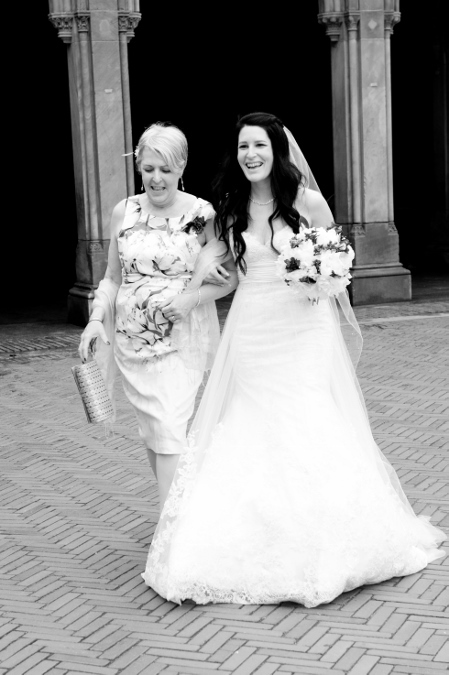 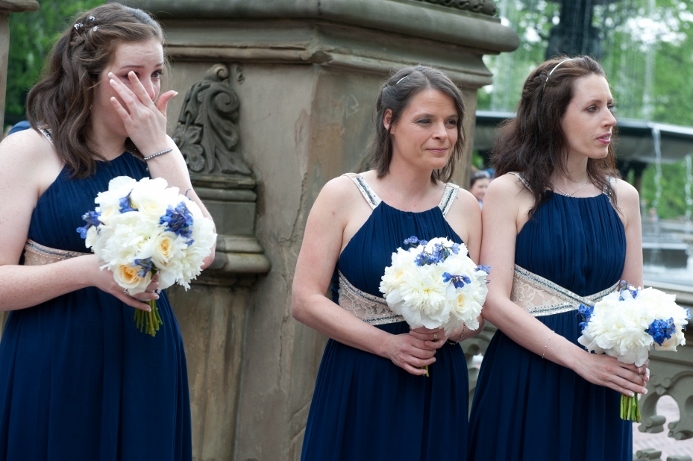 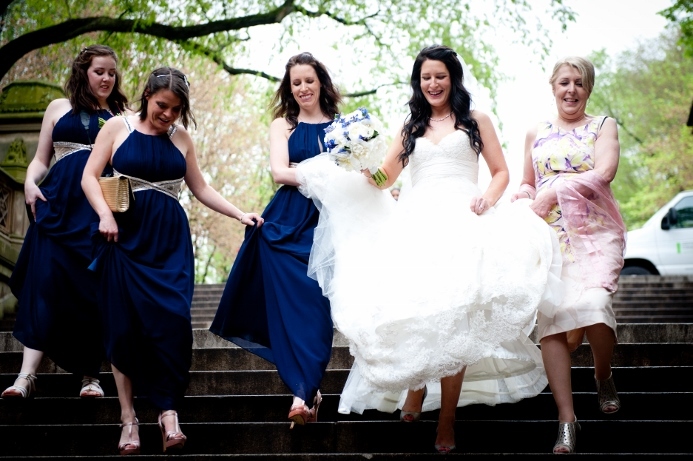 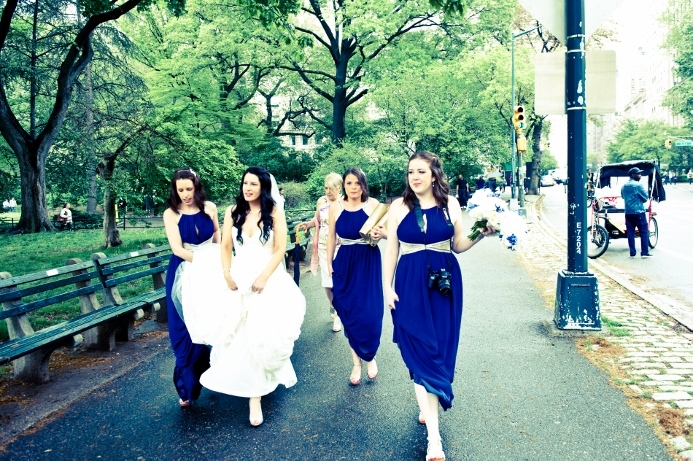 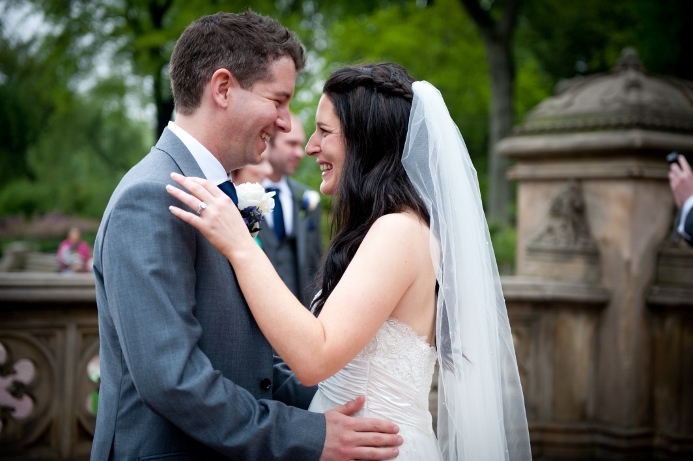 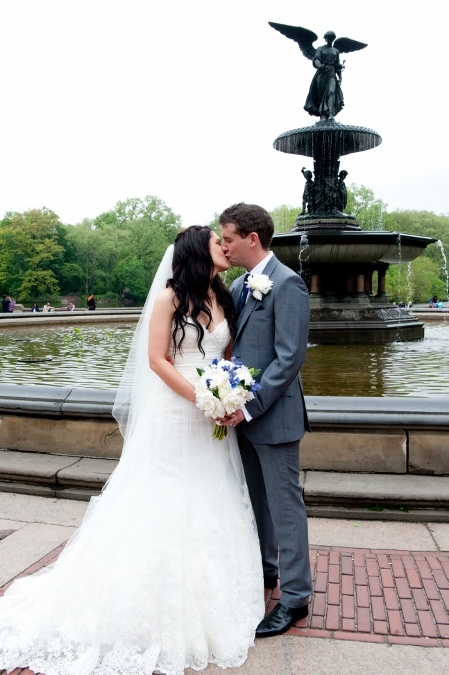 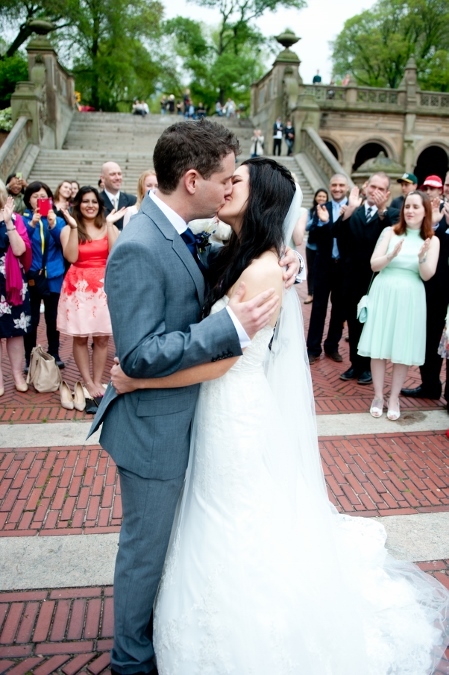 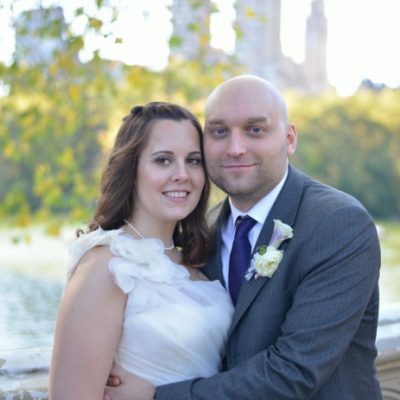 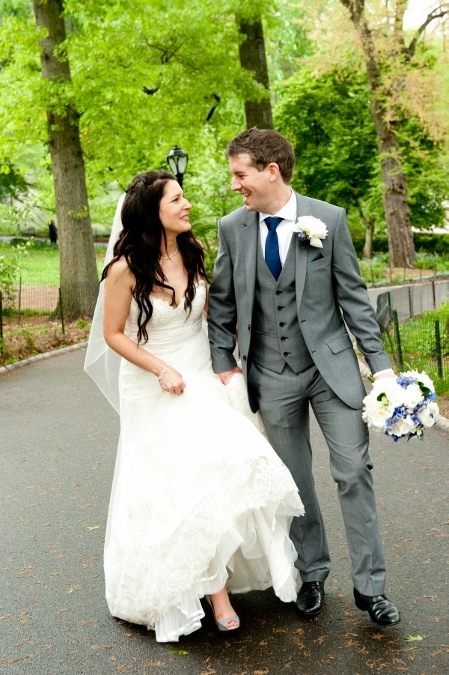 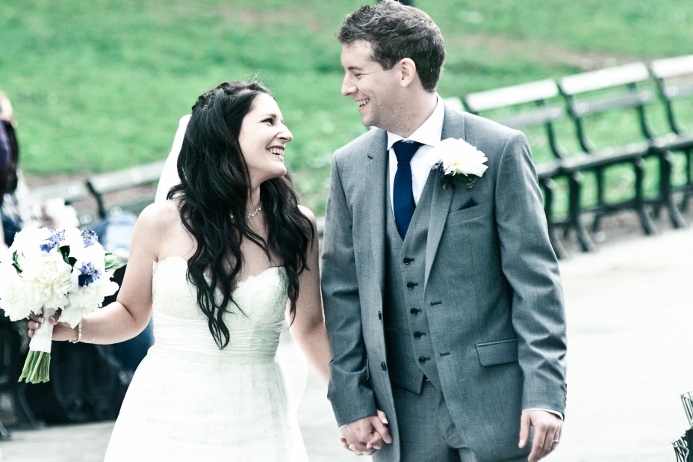 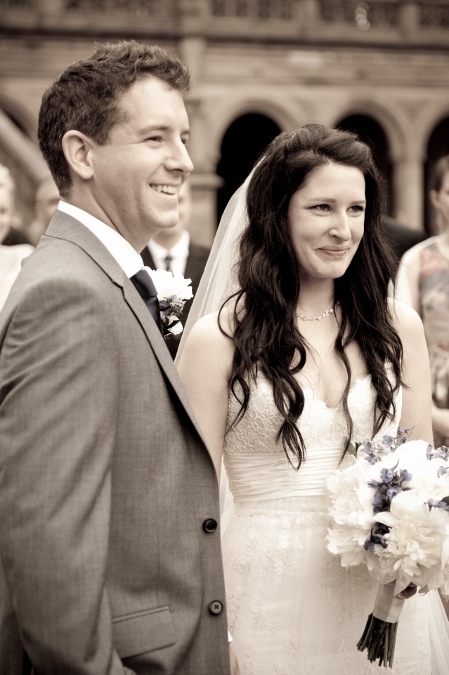 Jules and Chris recently held their spring wedding at Bethesda Fountain. 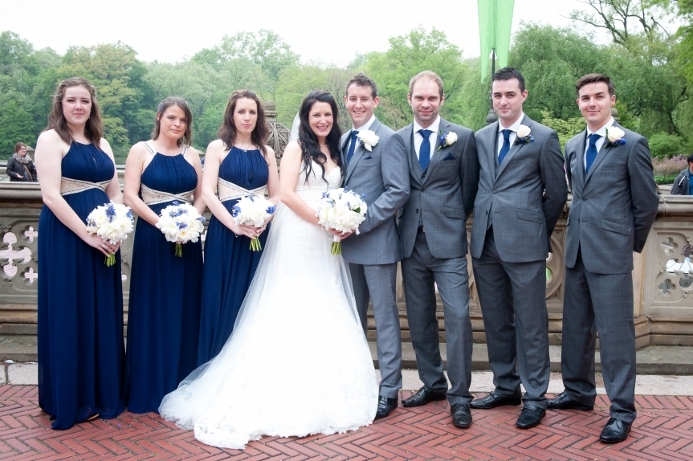 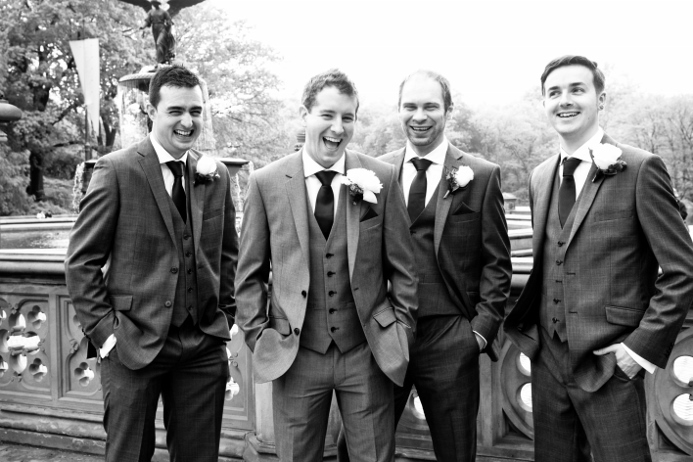 Friends and family traveled all the way from the United Kingdom to witness the marriage of their loved ones in the park. 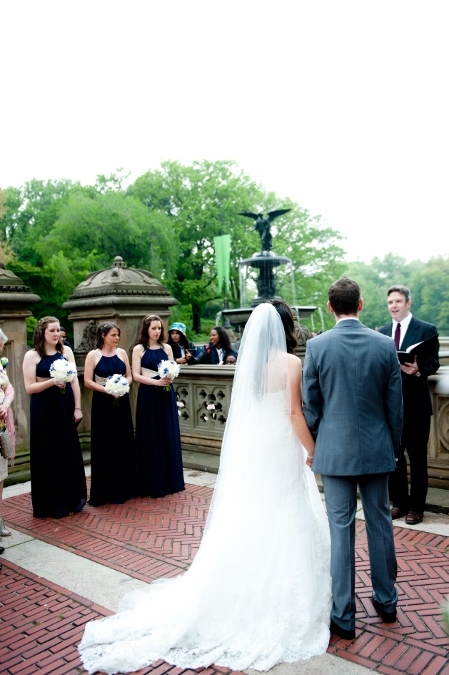 While it looked as if the cloudy skies would rain, the weather cleared just as the bride made her entrance down the Bethesda Fountain Terrace. 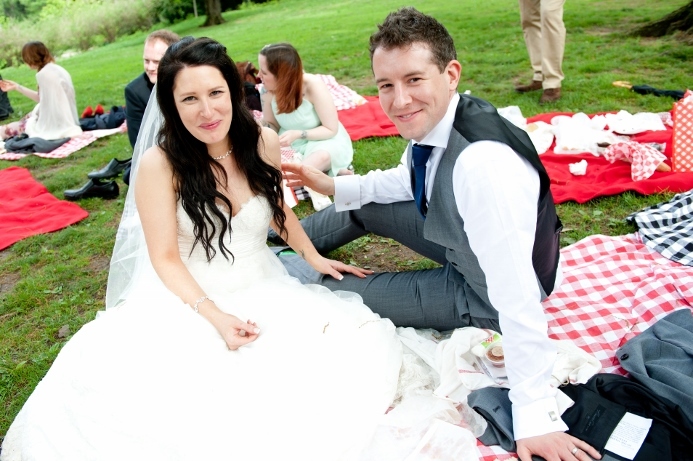 The newly married couple posed for photographs after the ceremony and enjoyed a late picnic lunch with their guests on Cherry Hill. 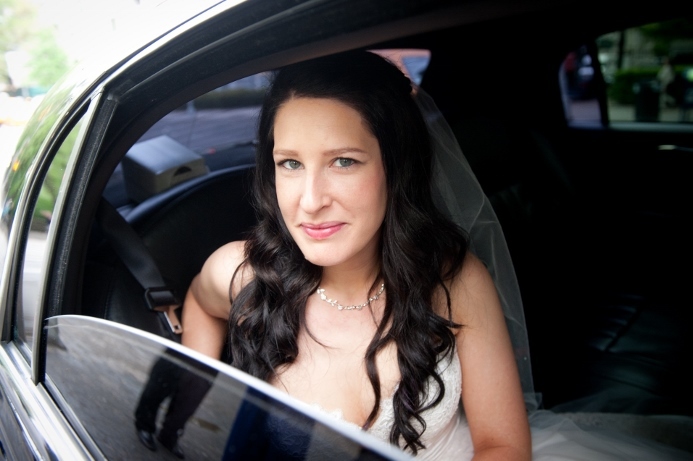 Later that afternoon, the bridal party and their guests were whisked away by limo and trolley for a dinner reception at Noir. 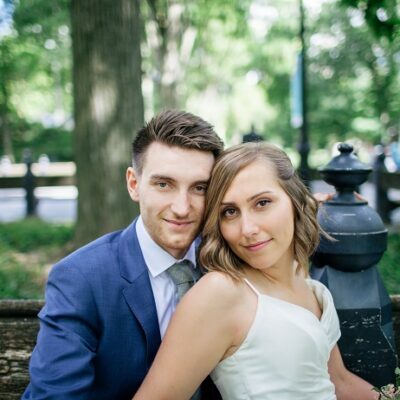 Congratulations, Jules and Chris!